Founded in 2005 by Blue Badge guide Isobel Lewis, Explore Oxford Tours is a small friendly company specialising in tailor-made walking tours of Oxford and the Cotswolds. We aim to provide a professional personal service, which helps you make the most of your time in our beautiful city. All Oxford guides work on a freelance basis and Explore Oxford Tours has contacts with guides who can specialise in just about every area of interest in Oxford, and in many different languages. Isobel Lewis and all the guides working for Explore Oxford Limited are Green and Blue Badge guides, accredited by the Institute of Tourist Guiding in London. They are also members of the Oxford Guild of Guides and Lecturers. 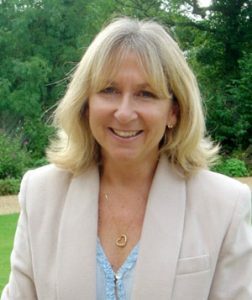 Explore Oxford Tours also has an affiliated company; Cotswold Exploring, established in 2016 by Isobel Lewis and her husband David. While Explore Oxford Tours specialises in tailor-made walking tours of Oxford, Cotswold Exploring ventures further afield, delving into the glorious countryside that stands north and west of the Dreaming Spires, the towns and villages of the famous Cotswolds. Cotswold Exploring offers a regular schedule of sightseeing tours each week, introducing small groups of visitors to the delights of the Cotswolds. These depart from The Visitor Information Centre in Broad Street, Oxford, and you can discover more by exploring the website at Cotswold Exploring.